Find a menu of Spa Services performed by Doctor Petrungaro including Dermal Fillers & Dysport plus Aesthetician Spa Services including Facials, Peels, Microneedling and more. Do you feel like your hands give away your age? Are you embarrassed to let people see your hands? Do you notice that bones and veins are much more prominent in your hands? If so, you may be a candidate for hand rejuvenation with Munster board certified Plastic Surgeon Doctor Jason Petrungaro. Hand rejuvenation is an extremely effective procedure that involves the injection of dermal fillers below the skin on the top of the hands to replace the layer of fat that has wasted away. The filler is massaged evenly throughout the top of the hands to smooth out wrinkles, tighten the skin, and camouflage the prominent bones and veins that have become so noticeable. Dermal fillers are a family of biocompatible materials intended to be injected below the skin in order to help restore lost volume and soften lines and wrinkles virtually anywhere on the body, especially the face and hands. They were designed to target and treat these very areas, producing a rejuvenated, youthful result with smooth contours. Dermal fillers are among the most popular cosmetic procedures because they offer immediate results, carry very few risks, and require little or no recovery time. They can also be very cost-effective versus other more invasive surgical procedures. 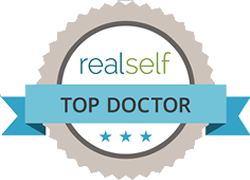 After one visit with Doctor Petrungaro, Northwest Indiana and Chicagoland residents can instantly look years younger. Who is a candidate for hand rejuvenation? Hand rejuvenation may seem like a simple procedure, since it is typically very quick and takes just a few shots. However, it is both an art and science that only a highly trained and experienced healthcare professional should do. Doctor Petrungaro personally performs all of his injections in order to make sure that the appropriate areas of the hands are targeted correctly and the filler is distributed evenly throughout the hands. Hand rejuvenation can usually be completed on the same day as your initial consultation. Doctor Petrungaro will examine your hands and listen to your treatment goals, and the two of you will decide on the appropriate amount of filler. After this he will prepare you and the filler for the procedure. Doctor Petrungaro gladly provides his patients with an effective topical anesthetic ointment that can be placed onto the hands at no extra charge. This ointment will serve to numb the skin and make the actual injections essentially painless. In addition, the type of dermal filler that Doctor Petrungaro uses actually contains lidocaine itself, which further numbs the treatment areas while the product is injected. After the topical anesthetic sets in for about 10-15 minutes, the injection sites on the hands will be cleansed with alcohol swabs. The needles used are very short and extremely thin. Depending on the areas of the hands to be treated, approximately 7-8 injections will be needed to achieve the desired result. After the filler is injected, Doctor Petrungaro will vigorously massage the product to evenly distribute it over the entire top part of the hands. Filler is not injected into the fingers. You may experience minimal redness, swelling, or bruising at the injection sites for a day or two. You can immediately shower and wash your hands after the procedure. In fact, many of Doctor Petrungaro’s patients come in for their treatment during their lunch break and no one ever knows! You should avoid strenuous activity for the rest of the day, and you should avoid rubbing your hands in order to prevent the product from being pushed out of the areas that were intentionally filled. Are you a Chicago resident seeking hand rejuvenation? You will immediately see the results of your hand rejuvenation after your procedure. It is common to experience some mild swelling and possibly some light bruising a day or two after your injections — this will resolve in a few days. The fillers used by Doctor Petrungaro typically last 9-12 months. It is a good idea to adopt a maintenance program if you want your results to remain constant. 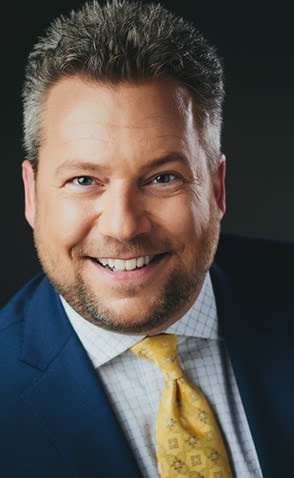 Doctor Petrungaro recommends that his patients come in for a touch-up to the hands every 9 months, or sooner if the patient notices the filler is absorbing. Why choose hand rejuvenation with Doctor Jason Petrungaro? 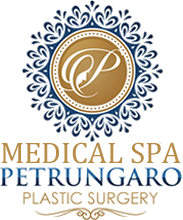 Doctor Petrungaro is a board certified Plastic Surgeon who has successfully completed many years of surgical training. In addition, he completed an entire year of fellowship training in Hand Surgery, making him uniquely equipped to understanding the human hand. He is well versed in the established traditional methods as well as the latest and most innovative techniques and products. He listens to his patients and respects their goals and wishes, and will always go the extra mile to deliver the most beautiful results possible. If you are searching for a Plastic Surgeon who can provide you with visible, natural results from your hand rejuvenation coupled with the highest standards of patient safety and care, Northwest Indiana and Chicago hand rejuvenation surgeon Doctor Jason Petrungaro will be happy to consult with you regarding this highly effective procedure. Visit with Doctor Petrungaro in our Munster, IN office for an hour — you will leave knowing you have found the perfect partner in your quest for restoring the youthful look of your hands! If you are interested in hand rejuvenation and have questions or concerns, please feel free to call Doctor Jason Petrungaro at (219) 836-1163 or click to schedule a consultation online.